To get Europe back on the road to inclusive, sustainable growth we need to (re)kindle Europe’s entrepreneurial spirit. This transition requires Financial and Institutional Reforms for an Entrepreneurial Society (FIRES). In this project we bring together scholars from such diverse fields as history, economics, geography and law to formulate such a reform strategy. Moreover, the project involves relevant stakeholders in Europe’s future. 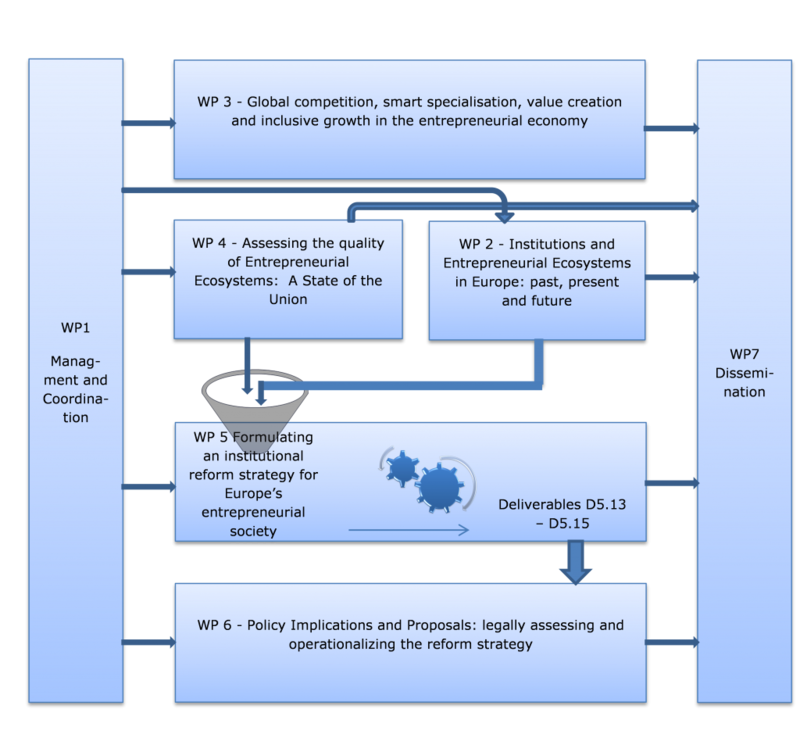 This Horizon2020 project develops Financial and Institutional Reforms to build an Entrepreneurial Society (FIRES) in Europe. This reform strategy necessarily builds on Europe’s rich and diverse history. Then it formulates practical reform proposals in the realms of finance, labor and knowledge to enable the more small scale, experimental and innovative bottom up activity that is needed to revitalize Europe’s economy in the 21st century. To ensure practical relevance and applicability the project engages relevant stakeholders throughout the project. So join us in shaping the entrepreneurial revolution!